Last time on Massive Pwnage, this happened! Now there is stuff happening, and next time on Massive Pwnage, different stuff will happen! 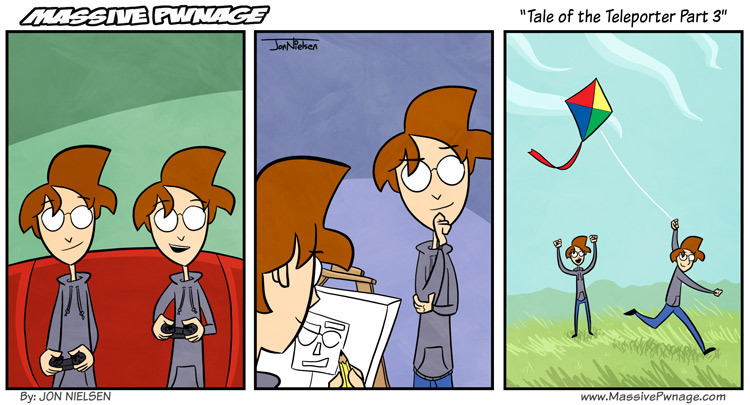 This entry was posted on Wednesday, June 1st, 2011 at 12:00 am and is filed under Comics. You can follow any responses to this entry through the RSS 2.0 feed. Both comments and pings are currently closed. That’s horrible! Kites and painting are in no way playing!